note: adopted 1993; the anthem is a verse from the former Czechoslovakian anthem originally written as part of the opera "Fidlovacka"
The Czech Republic is one of the most stable and prosperous of the post-Communist states of Central and Eastern Europe. Maintaining an open investment climate has been a key element of the Czech Republic's transition from a communist, centrally planned economy to a functioning market economy. As a member of the European Union, with an advantageous location in the center of Europe, a relatively low cost structure, and a well-qualified labor force, the Czech Republic is an attractive destination for foreign investment. Prior to its EU accession in 2004, the Czech government harmonized its laws and regulations with those of the European Union. 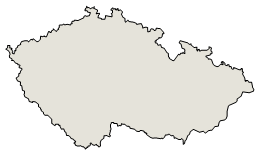 The small, open, export-driven Czech economy grew by over 6% annually from 2005-2007 and by 2.5% in 2008. The conservative Czech financial system has remained relatively healthy throughout 2009. Nevertheless, the real economy contracted by 4.1% in 2009, mainly due to a significant drop in external demand as the Czech Republic's main export markets fell into recession. GDP is expected to grow by 2.4% in 2010, driven largely by a rebound in external demand, particularly from Gremany.